It’s easy to miss vital details, which is why multiple proofreaders are often needed. 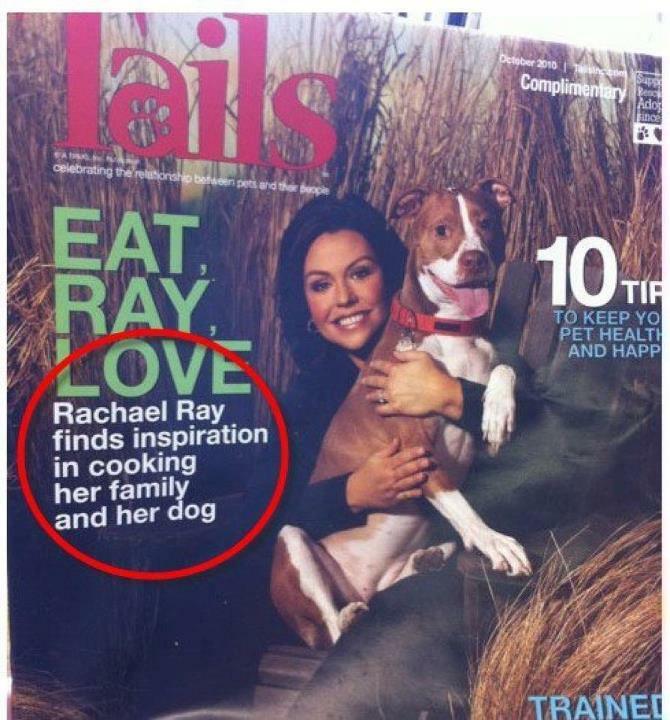 Here is a tragic story – a proofreading case study – of how a typo turned a celebrity chef into a cannibal. It all happened so innocently. In fact, at first nobody even noticed. Rachael Ray, a well-known celebrity chef, loved her family. And her dog. Apparently, she really, really loved them. In fact, she was normal in every sense of the word. And that’s how we discovered that she really, really, really loved her family and her dog. This tragic story is a case study on how a simple missing comma can turn anyone into a cannibal. Even vegetarians are not immune. Pleased don’t let this happen to you. You are too young. You have too much to live for, and so does your family and your dog. If you risk becoming a cannibal, seek professional help. We have proofreaders for you. They can protect you from becoming a cannibal. Never publish anything without proofreading. The side-effects could change your life forever. Remember, it’s never “just a typo”. LOL. That is too funny (since we know it is an editing mishap). Do you only have proofreaders for books or for all kinds of writing? We’ll proofread anything. If your dog or horse has a tattoo, we’ll even proofread that…but we might not correct it right on the animal.